There are two meetings this February of interest to ACM Chicago members. The Chicago Python User's group meeting is being held near our usual meeting location, and should be of interest to our members. We are co-sponsors of this meeting on Thursday, Feb 9. Our "regular" Chapter meeting will be in our usual room, on Monday, Feb 13. Scroll down for info, and on a separate page here. We hope you'll be able to attend both events! This talk will be a set of four short presentations guiding everyone through three applications of unsupervised machine learning. We begin with the classic cocktail party problem - how to automatically separate mixed voices recorded by microphones - presented by Jorge Yanar. This will be followed by a brief, intuitive explanation of the algorithm used to perform the task - Independent Components Analysis (ICA) described by Professor Mark Albert. Dr. Pavan Ramkumar will demonstrate how the same technique is applied to filter unwanted noise during neural recordings using EEG, and Anne Zhao will end with a demonstration of how the same coding strategy has led to insights in how the brain encodes sensory information in the early auditory and visual systems. Her demo will allow participants to develop their own simulated neural codes for processing visual images. The brief talks will be accompanied by a Jupyter notebook for running code and displaying results. For those who wish to run the examples during the talk, it will be necessary to install Jupyter running Python version 3 (the Anaconda Python distribution is recommended to set this up). Links and setup instructions will be given prior to the talks for people to follow along on their laptops and try the examples on their own if desired. The purpose of this talk is to share best practices learned while developing Apache Spark workflows in production across various industries. Apache Spark is a popular distributed processing framework that allows organizations to analyze multiple streams of data for machine learning and exploratory SQL workloads. We will discuss debugging tips, best practices for transforming datasets, and discuss integrating with existing libraries such as numpy and pandas. Code examples will be shared in python. Miklos Christine is a solutions architect for Databricks where he helps customers deploy and use Apache Spark to build batch and streaming applications. Miklos was previously a systems engineer at Cloudera where he helped strategic customers deploy and use the Apache Hadoop ecosystem in production. 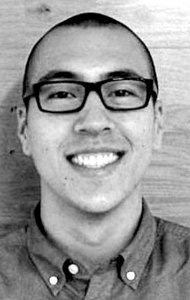 He has contributed to several projects in the open source community and holds a BS in electrical engineering and computer sciences from the University of California-Berkeley. There will be refreshments catered thanks to the good people @databricks.